Pay For Your Next Adventure! 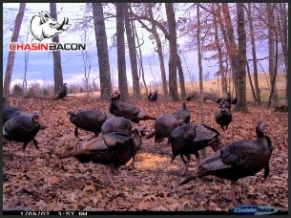 Although we have a cool name Chasin Bacon we are a complete hunting, fishing, outfitting and guide service. If you are looking for a meat hog, or the trophy boar of a lifetime click here to contact Chasin Bacon today for your next hog hunting or first hog hunting experience. There are many ways to measure draw length an we will cover a few of them, however if some shop tries to sell you a bow without measuring your draw length LEAVE THAT SHOP and do not look back. Unlike a traditional recurve bow that can be drawn back to virtually any length, a compound bow will draw back only a specific distance before it stops (which is called the wall). 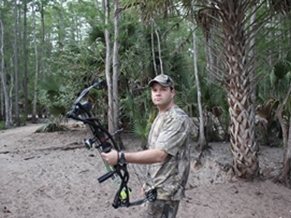 Compound bows are engineered to be shot from the a full-draw position. If a compound bow is set for a 27 ½ " draw length, it should always be shot from the full 27 ½ " draw position. Your draw length on your compound bow must be set to match your particular size. When we setup your bow, or have a qualified shop set it up for you, ensure they double and triple check your draw length. 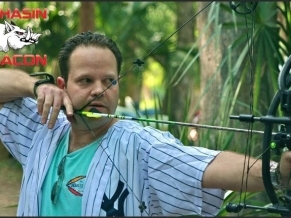 Everything you wanted to know about archery but were afraid to ask! Archery is just simply awesome. Watching the mystical flight of the arrow is peacefull, sitting in a stand for hours... not alwasy that great. Ft. Lauderdale Archers is an amazing club where you can shoot set targets from 5 yards to 100 and the back of the range you can shoot any distance you wish. Once you are a member you get a key to the gate so you can come in anytime you want 24/7. There are 3d animals set up to practice and you can bring your own targets and practice from a ground blind, tree stand or simply hiding in the thicket. This is simply a pat on the back until my elbow hurts. a "mess load" of ketchup to get everything "wet" and make it "stick together"
Archery is the ancient art man used to hunt and kill in the primitive ages. However, with time, it has evolved into a recreational activity. You may take it up as a hobby or as a competitive sport. Whatever your approach to archery, you need to make sure that it is safe for you and for all others around you. Booking? Questions? Comments? >>> Contact Us! NO GUIDE FEES - NO CLEANING FEES - NO HUNTING LICENSE NEEDED FOR OUR PRIVATE LAND HUNTS! Chasin Bacon (TM) offers premier hunting, outfitting & guide services in Florida, Texas and a bunch of other places where you can have an amazing adventure. 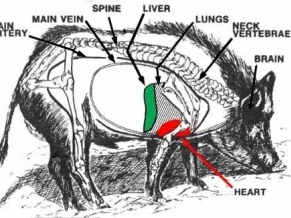 We can place you on a Florida Boar/Hog hunt with a guaranteed opportunity or we can provide you with an opportunity on almost any animal you choose. Our comprehensive network of outfitters and guides can place you on monster bucks, trophy elk, lions or other exotics. Here is the bottom line; Chasin Bacon is simply a very cool name with a bunch of men and women that are passionate about conservation and hunting. If you want to get a trophy boar, buck, elk, bear, ram, eland or any other legal species – call us today to start your adventure, (954) 410-5956 and one of our Ninja Hunters will be ready to help you with your next hunt. #CHASINBACON DO NOT STEAL MY CONTENT AS WE LOVE TO PUNISH FOOLS!